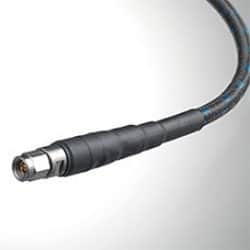 Junkosha specializes in high-end RF cables offering unmatched performance and high reliability. 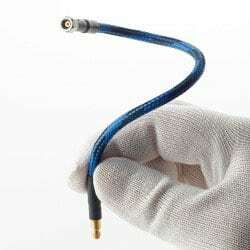 Relatively new to the North American market, but building quality products in Japan since 1954, Junkosha offers unsurpassed value in cable assemblies including: Phase stable Network Analyzer cables, high heat/high durability cables for rugged environments, Space Qualified cables, and highly flexible test cables using the remarkable properties of fluoropolymers. Junkosha continually works towards innovation and provides unmatched value for customers through unique products based on Junkosha’s high level of experience in polymer science and technology. Junkosha is a pioneer of sophisticated fluoropolymer application technologies across a broad selection of industries, including the microwave interconnect sectors. 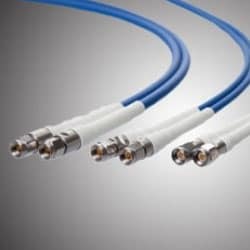 With a core message of ‘phase performance that endures’, our MWX range of microwave coaxial cable assemblies are flexible signal transmission lines that take advantage of the excellent properties of PTFE and are used in applications up to 120 GHz. In addition, they are ideal for use with Vector Network Analyzers for precision measurement requirements. 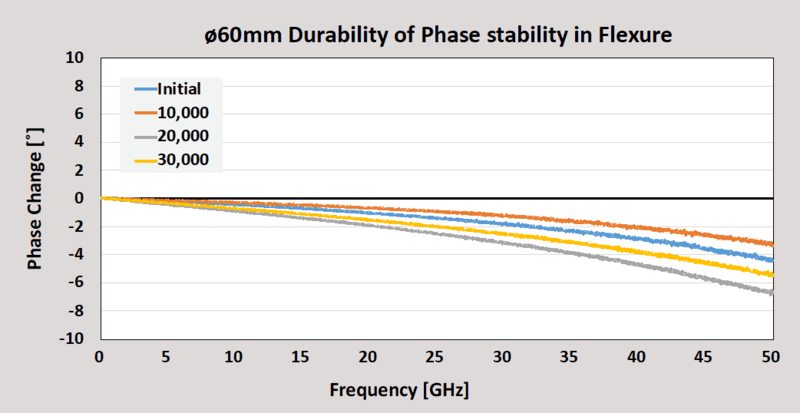 Overall, Junkosha offers a wide range of highly reliable assemblies for micro/millimeter wave applications that are tailored to customers’ needs. What is "Phase Performance that Endures?" 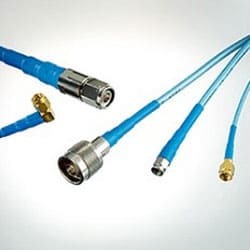 Microwave coaxial cables are subject to phase changes, which are caused by either bending the cables or from temperature fluctuations. 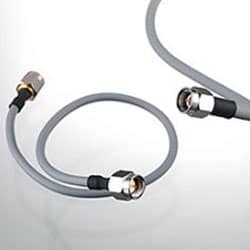 The cables are extremely flexible and feature a high degree of phase reproducibility. The result is cabling that has excellent durability and maintains phase stability for a long period of time. How often do you replace microwave cable assemblies? In most cases, cables fail in a year or less. 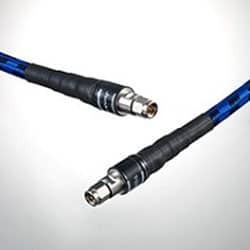 Junkosha MWX coaxial cable assemblies are the solution to stop short replacement cycles. 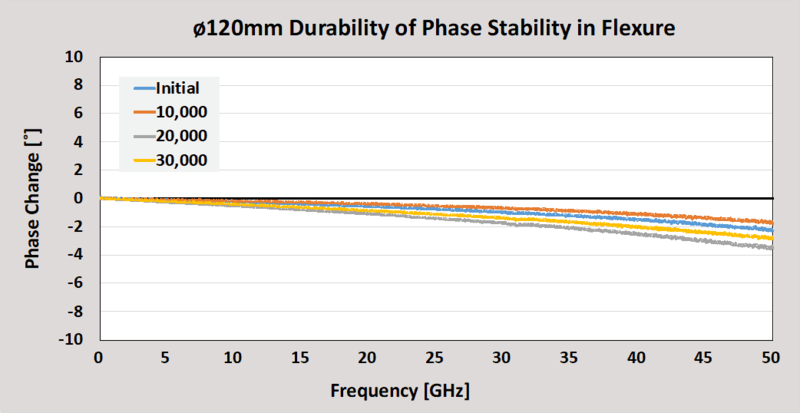 MWX has excellent long-life durability while keeping excellent phase stability. These features will reduce Total Cost of Ownership by minimizing cable replacement and calibration cycles. 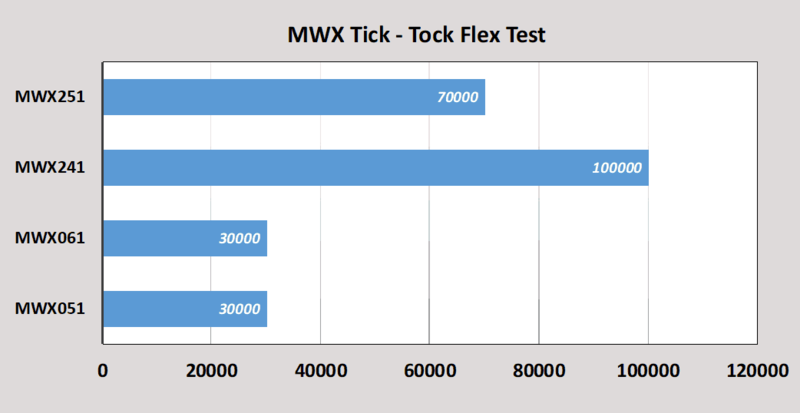 The message, “Phase Performance that Endures”, is Junkosha’s MWX cable commitment to customers promising long-lasting phase stability performance. High quality signal transmission with excellent flexibility and form-sustainability. 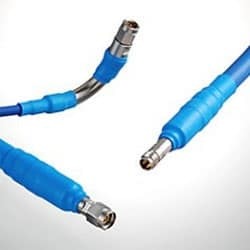 1.0mm(m) and 1.0mm(f) connectors are available. Standard type armored with SUS spiral tube for mechanical damage reduction.